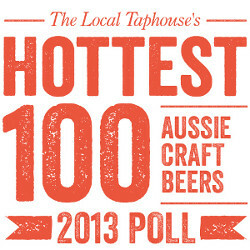 The start of 2014 means that it’s time to look back on 2013 in order to vote for my favourite beers of the year for the Local Taphouse’s Hottest 100 Beers competition. Looking at the hundreds of beers available to vote for and how difficult it is to narrow down a top five it’s clear that 2013 was very simply the best year in beer ever. Sure there were a few beers and brewers that disappointed but that’s been the case every year that I can remember. For every brewer that made a whole bunch of uninspiring beers there was another pushing the envelope. While more and more exciting imports hit our shores, I doubt that I would change my top five if imports were allowed. Judging by my choices, it seems that envelope pushing sits well with me when I score beers. My criteria was pretty simple. Look back at the highest rated beers that I checked in last year on the Untappd app and decide which ones I would go out of my way to try again. This perhaps gave an unfair advantage to difficult to find beers and pushed “my go” to session beer, Stone and Wood Pacific out of the running. I don’t think they’ll miss my vote. I didn’t deliberately try to only have one beer from any single brewer although I could easily have had multiple entries from any of these brewers, and a few others. 5. Dennis Beer Co. 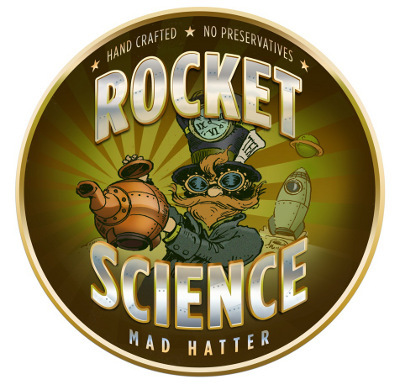 Rocket Science Mad Hatter IPA. There are a lot of new local brewers that have kept me happy this year. Every beer from Riverside has been superb. HopDog has a whole bunch of exciting beers. Wayward, Grifter and Dennis have proven that you don’t need to own a brewery to make great beers. I’ve enjoyed all of the Dennis beers and this was my favourite, fruity and easy to drink with tea leaves adding extra lift and freshness that hides a reasonably high alcohol content. New Zealand’s Yeastie Boys Gunnamatta was the original tea-leaf IPA and is spectacular, the Mad Hatter sits happily beside it. I seem to like the addition of a bit of rye in beers, it seems to help balance beers with plenty of hops and gives a little bit of a toasty aftertaste. Mountain Goat Rare Breed Rye and HopDog Horns Up were a couple of my highest rating beers of the year but this one pips them. BrewCult’s Steve “Hendo” Henderson has made four beers so far and each one could make anyone’s top 5. 3. Bridge Road Chevalier Saison. The only beer to appear in my top five that was there last year this is simply a superb beer and still the best Australian saison. It is the pinnacle of beers to match with food. There are plenty of other 5 star Bridge Road beers that I had this year that could have been on the list including the India Saison, Bling Bling Double IPA, Dark Harvest, B2 Bomber and the spectacular Aurora Borealis. There is no doubt that Two Metre Tall’s Ashley Huntington is a passionate man. The former winemaker and full time farmer makes some serious beers in the Derwent Valley, Tasmania. I tasted the Original Soured and Sour Cherry Ales on the first day of Sydney Craft Beer week and they remained the best beers I had over the 8 days (I had a lot of beers that week.) The Soured Ale is barrel aged for three years and is easily the best lambic style beer that I’ve had outside Belgium. This was the one beer that I went back to every time I heard that it had been tapped. The concept was a black Berliner Weisse using squid ink to colour it. Of course it was a different colour every time, ranging from grey to turquoise and every shade in between (I did try it a lot.) The taste was superb, a bit of lemon tartness and a rich texture. It surprised and delighted. Doc is currently brewing another take on the Berliner Weisse style although it’s hard to imagine that it would be better than this. I will go out of my way to drink it of course. Special mention has to go to Parramatta’s Riverside Brewing Company which in its short history has never put a foot wrong. Every one of their beers has been superb and the 44 Amber is the best amber ale that I have tasted. Brewer Dave Padden will go down in Australian brewing history as a man who perfectly understands hops and isn’t afraid to include as many as possible in his beers. One thing is for sure though, 2014 will be an even better year for beer. New brewers will appear, the number of craft beer outlets will continue to expand and the envelope pushers will push even harder. 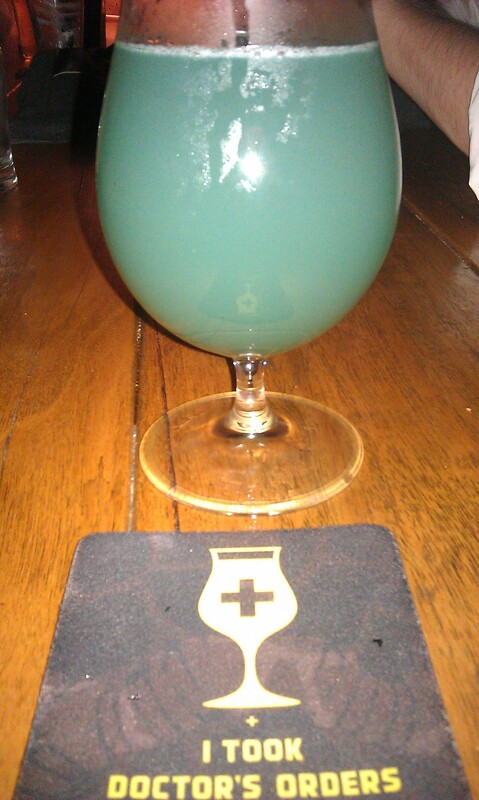 This entry was posted in Bars, Beer, Craft Beer, Sydney and tagged beer, beerwinebeer, craft beer, doctors orders brewing, nsw, real ale sydney, sydney on January 7, 2014 by William Wilson. I thought I should summarise the list of pubs with handpumps in Sydney. Remember they might not always meet the Campaign for Real Ale’s definitions of Real Ale but they all pump some splendid beers. If you are only heading there because of the handpumps you should double check before going to ANY of them. This entry was posted in Bars, Beer, Craft Beer, Pubs, Real Ale, Sydney and tagged bars, beer, beer wine beer, craft beer, Murrays Brewing, nsw, real ale, real ale sydney, sydney, Young Henrys on July 28, 2013 by William Wilson. Let’s get the technical stuff out of the way first. Real Ale is the name given to beer which undergoes secondary fermentation in a cask. The carbonation produced is lower and more fine than for more commercial beers. They are served using a traditional handpump instead of under pressure from a bottle of carbon dioxide. The beers are usually flavourful and benefit from being served at slightly warmer temperatures than mainstream beers. Real Ale was once the only way that you could drink decent beer in pubs in Britain. Inclusion in CAMRA’s Good Beer Guide was the pinnacle of success for beer bars. CAMRA is rightly credited with saving good beer in Britain in the 1970s and was the catalyst for the beer renaissance across the rest of the world. Importantly the beer is left open to oxygen which makes the beer go sour if it does not turn over quickly enough, it takes hard work to get right. I’ve been in Australia for 20 years without sighting much real ale. There was no CAMRA to save tasty beer here from the big brewers. Visits to the Wig and Pen in Canberra and the Sail and Anchor in Perth were my only tastes of what I considered proper beer for many years. When the Redoak Beer Cafe opened in Sydney they occasionally served a real ale version of their bitter. For a while Matt Donelan from the St Peters Brewery would open a couple of casks at the Nags Head in Glebe on the last Friday of every month. And that was that. In the last 12 months things have changed around here. Handpumps are beginning to pop up across the city and over the rest of the country. Beer lovers want flavourful beers and don’t want them to be freezing cold. Many good beers are well suited to to the style. A word of warning though. Some of the beers served by handpump in Australia would not qualify as Real Ales under CAMRA’s standards. These beers do not undergo secondary fermentation in the cask. They are often simply the same keg of beer that you normally get but left to de-gas for a while and served through the handpump instead of through refrigerated beer lines. This will always be the case if you see an international beer served this way. I’ll refer to beers as “handpumped” if I’m not sure of what is happening in the cellar. Of course great tasting beer is still great tasting beer and if the dispense method brings out more flavour I’m all for it. I decided to spend the weekend checking out the bars with handpumps across Sydney. Any excuse for a pub crawl. My starting point was the Union Hotel in Newtown, where two handpumps have been pouring pints mainly from the local Young Henry’s brewery for the last 6 months. They had the Young Henrys / Mountain Goat collaboration beer “The Kid” along with Murray’s Punch and Judys. Both beers are English styles and both seem to benefit from the handpump. The aroma of the Murray’s is much more intense and The Kid’s chocolatey character becomes smoother. I headed to the Duck Inn in Chippendale next but was disappointed to see the handpump used for cider. The Duck has been recently renovated and has turned most of their taps over to independent beers. The handpump was installed by Rocks Brewing but they currently don’t turn over the beer quickly enough to keep it well. The cider sells much faster but doesn’t really suit the handpump – I was offered ice for it. The Duck will get more of a name for it’s beers and will start using the handpump for beer, it’s just a matter of time. The Pumphouse in Darling Harbour doesn’t usually have handpumps but were having a special tap takeover by the St Peters Brewery. Matt Donelan’s handpumps were on the bar, attached to a couple of casks (see photo above.) No denying these were real ales. The flavours of the Cinnamon Girl spiced ale were more intense than usual. 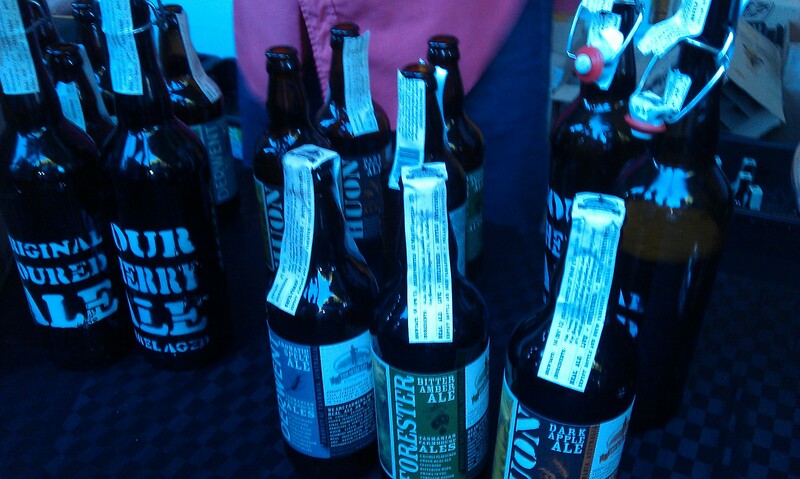 The second beer was an English Pale Ale brewed specially for the event called Harvest Moon. It was very earthy, possibly from fresh hops and I’m not sure if the handpump helped the flavour. Matt had brewed a further 4 beers specially for the event which would have been rude for me to miss. More disappointment followed, a pint glass over the handpump at Redoak and a “sorry we just ran out” at Mojo Records. Redoak doesn’t have the real ale often and usually only at the start of a week. Mojo Records on York Street puts on a cask of Young Henrys every Friday. Perhaps they should try a bigger cask, or have two. Both bars are worth a visit for their beers so I stayed and sampled a few more beers before moving on to the Harts Pub. Harts Pub has had more success with the handpumps and there are almost always two beers available. The bar is owned by the same people as Rocks Brewing but they usually have beers from other brewers including Red Hill Best Bitter, which they had gone through three casks of in a week. I was a bit excited to see the HopDog BeerWorks Children of Darkness on handpump. It is a superb, strong India Black Ale and it was interesting to try such a different style on the handpump. Again the flavour is more intense though I thought this made the hops a bit more astringent than normal. Harts also has a great range of beers so I stayed and sampled a few more. The last pub of the night was the Royal Albert in Surry Hills. It’s a small pub but worth checking out. Young Henrys supply two beers, the English style “Real Ale” is on all the time and the second beer was their Vertigo, a wheat beer. The Real Ale is quite a big Best Bitter style and obviously suits the handpump. I wish they called it Best Bitter instead of Real Ale as that just makes things more confusing. The fruity aroma of the Vertigo is much more distinct on handpump, I’m not sure if this is really a good thing. No idea why my tasting notes were a bit brief at this stage. After a hearty breakfast the next day I headed across the Bridge to Manly where two bars have handpumped beers most of time. Murray’s at Manly is the Sydney outlet for Murray’s from Port Stephens. It’s a great bar overlooking the ocean. They have most of their extensive range of beers along with a few good guests and two handpumps. Today they had the great Punch and Judys and their Dark Knight Porter. Again the smoothness of the porter style was enhanced by the dispense method and the Punch and Judys was my favourite beer of the weekend. 4 Pines is always worth visiting despite the fact that they had run out of their real ale earlier in the week. As the secondary fermentation (conditioning) takes longer than force carbonation they don’t always have any real ale available so phone ahead to avoid disappointment. Running out is actually a sure sign that the beer really is real. The brew bar has a stillage unit where you can see the casks. Come to think of it that’s really just teasing me. The beer would pass CAMRA’s standards and tastes bloody good as well when it’s on. What did I learn? Murray’s, Harts Pub, the Union and the Royal Albert have handpumped beers all the time. The others are all worth visiting without real ale but phone ahead if that’s all you want. 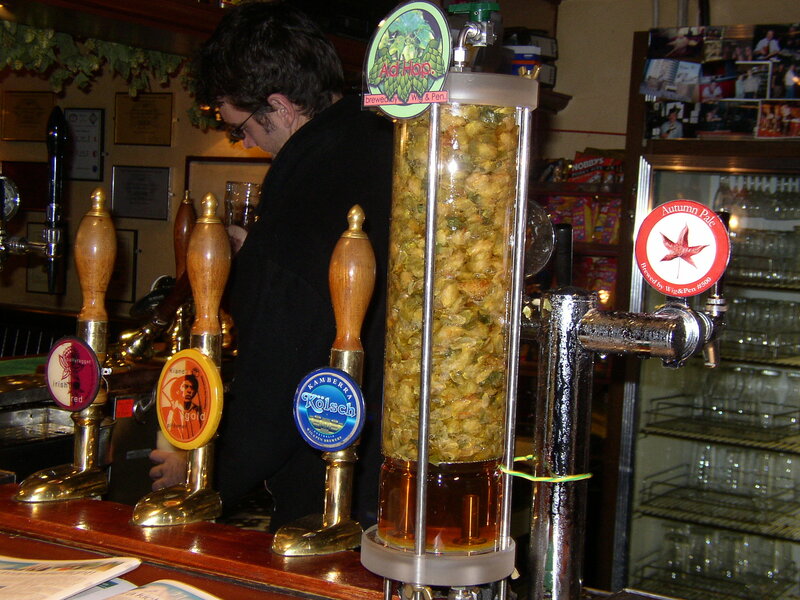 English Bitter is unsurprisingly the most common style of beer available and benefits from the dispense method. If you need two days to tick of all of the handpumps in Sydney we have made a good start. Young Henrys and Rocks Brewing are making great beers and supporting the bars who are interested in using handpumps. It’s great to see a few bars offering this style of beer and with the beer revolution showing no signs of slowing I’m sure we’ll se a lot more. Enjoy the beers! 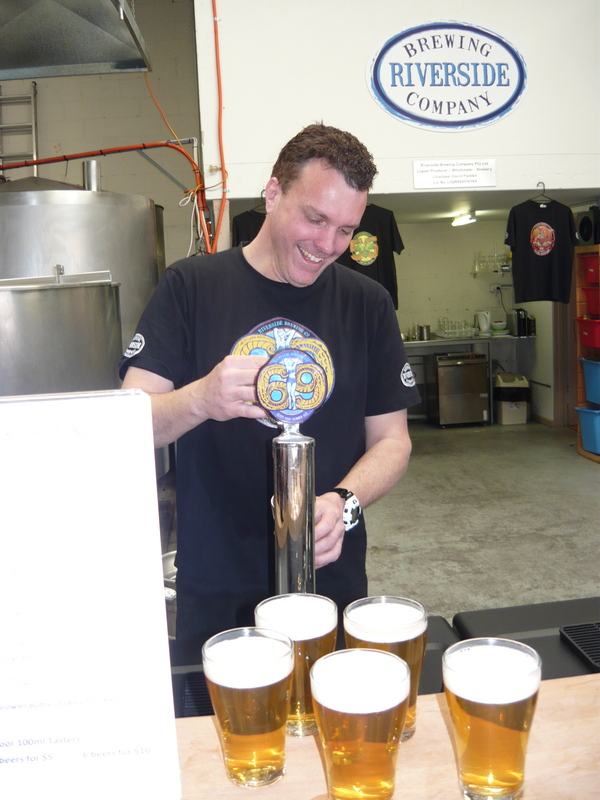 Update – 21 May 2013 – we have an addition to the handpump bars – the Flat Rock Beer Cafe, north of the Harbour in Willoughby has installed a couple of pumps and a small brewery. Since opening the brewhouse they have rotated the ales served through the handpumps, usually just one at a time with an IPA, Porter and English Bitter. Four other beers are available on tap at the small bar along with an extensive bottle list. The handpump beer crawl just got a little bit more difficult… In a good way. 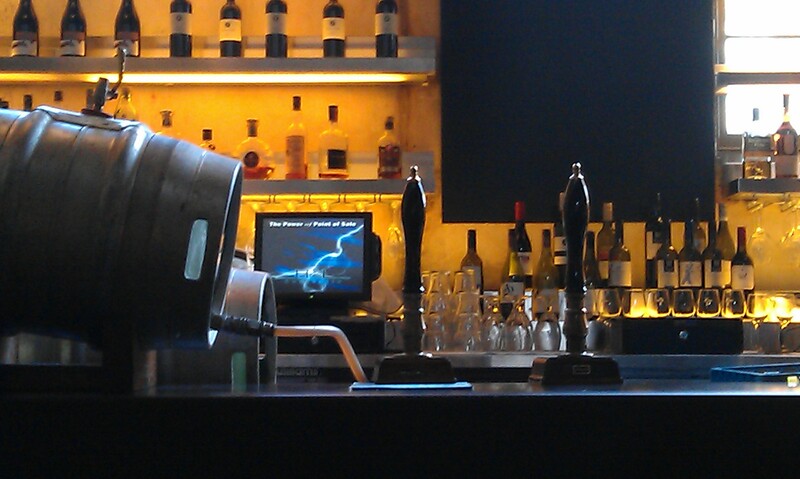 Update – 7 July 2013 – The Local Taphouse in Darlinghurst has finally put some beer on their handpump. The boys from the Taphouse bought a bunch of proper casks from the UK last year and Scott and Ozzy went out to the Australian Hotel and Brewery to make a special beer to fill some of them with head brewer Neal Cameron. The beer was launched at the British & Irish Lions Spectapular held in mid June and is called Dead Witch Bitter. Mrs Thatcher would be proud as it’s a light and fresh tasting English bitter. It seems to be a regular fixture on the bar. Murray’s at Manly has inexplicably been re-named the Rubber Duckie Taphouse but still pours beers from their two handpumps and Rocks beer (not cider) has been pouring from the Duck Inn’s pump. More power to them…. Update 28 July 2013 – The Lord Dudley in Woolhara has installed a handpump featuring beers from the Badlands Brewery from Orange and believe it or not the Petersham Bowling Club has a handpump along with 11 other craft beers. So far Young Henry’s has been the main beer on tap although they do stock a number of Rocks beers. If you want to head further afield Corey Crooks of the Grain Store in Newcastle has just installed a handpump, expect Young Henrys and Murray’s beers. One of the first handpumps in NSW was put in by Corey when he ran the Albion Hotel in Newcastle which still has two pumps operating all the time. The Hunter Beer Co at Potters Hotel on the outskirts of the Hunter Valley has also put in a handpump, officially it’s only used at weekends so again if you are heading there specifically for the handpump call in advance! 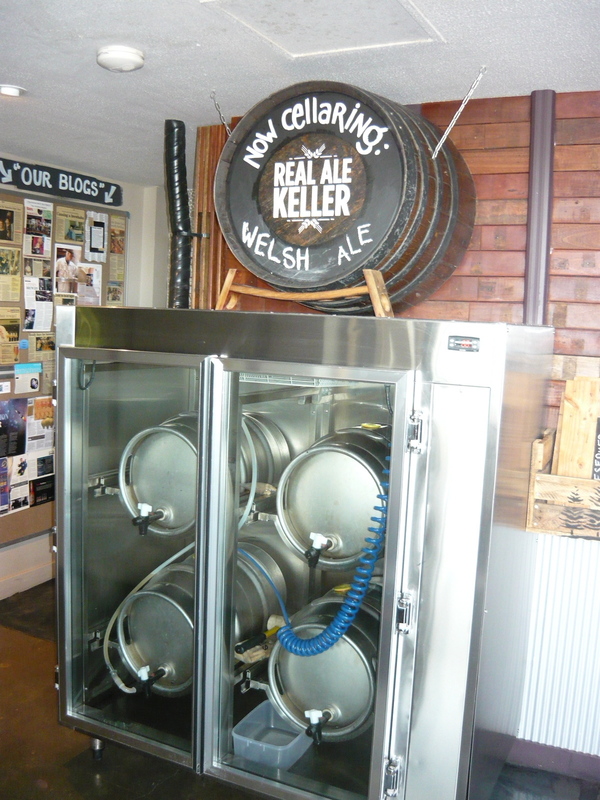 Update 31August 2013 – the Young Henrys Brewery itself has two handpumps with their own beers. It’s open to the public Monday to Saturday from 10am until 7pm. 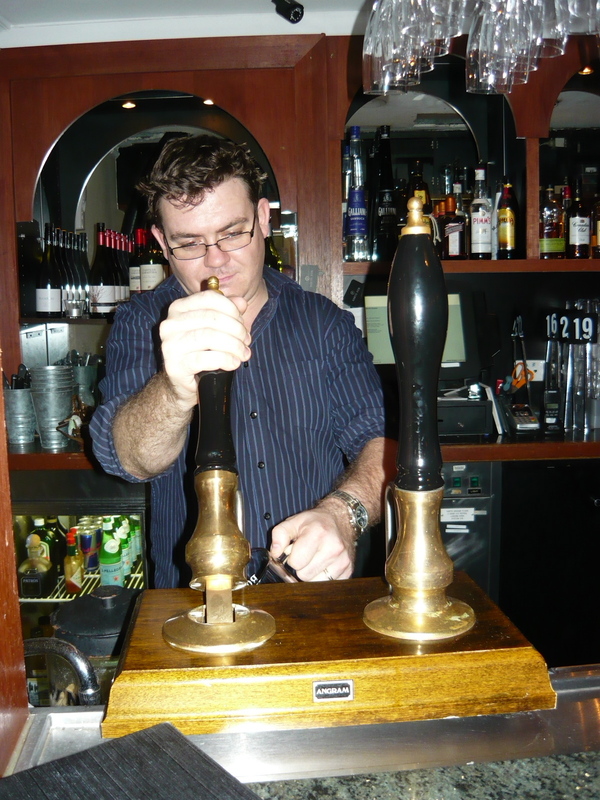 Update 6 September 2013 – the Quarrymans in Pyrmont has opened with 22 normal taps and two handpumps. Only one handpump has been in use, serving Young Henrys so far. The Bellvue in Paddington (almost Woolhara) has also been holding real ale nights on the last Friday of each month. The set up is the same as the Nags Head in Glebe used to offer with St Peters beers and the cask just sitting right on the bar. Nice. This entry was posted in Bars, Beer, Pubs, Real Ale, Sydney and tagged bars, beer, beer wine beer, beerwinebeer, real ale, real ale sydney, sydney on March 10, 2013 by William Wilson.